In a previous tutorial we created a very simple shader that performed ambient lighting. The shader was probably helpful, because it showed us the basics of creating a shader with HLSL. But beyond that, it probably wasn't too useful. Ambient lighting is important, but by itself, it is pretty useless. In this tutorial, we will cover the most significant component of lighting: diffuse lighting. Remember that diffuse lighting is the light that reflects off of an object in all directions (it diffuses). It is what gives most objects their color. In this tutorial, we will modify our ambient light shader to include diffuse lighting as well. We will make changes to each of the major components of our effect file in order. It might be worth running your program right now, just to make sure that it is properly displaying your shader, which should, at this point, only do ambient lighting. If you get lost during this tutorial, I have placed the completed code for the diffuse lighting shader near the bottom of this tutorial. The basic idea of diffuse lighting is that the surface of the object is lit up with the light's color with a brightness that depends on how the surface is oriented to the light source. If the surface is facing directly towards the light, then a lot of light will be reflected and the surface will be bright. If the surface is not facing the light directly, less light will be reflected and the surface of the object will be dimmer. On the back side of the object, the surface is facing away from the light, and so no light will be reflected. To start with, we will perform per-vertex lighting, which is a simpler and faster approach, but doesn't produce as nice of results as per-pixel lighting. This means we will do most of our calculations in the vertex shader, rather than the pixel shader. For each vertex, we will calculate the diffuse light color for that vertex and pass it on to the pixel shader, which will then just add that color value in with the color from the ambient light. The first variable is a matrix that stores the transpose of the inverse of the world matrix. With our ambient light shader, we had to transform the location of each of the vertices in our object. With this diffuse shader, we will need to also transform the normals of the vertex, so that we can do lighting calculations. This matrix will be what we use to transform the normal in the correct way so that the lighting calculations come out right. At the end of this tutorial, we will discuss how to calculate this in your XNA game, since we will need to set it there, at the same time as the world, view, and projection matrices. The second variable indicates the direction that the light is coming from, which in this case is the positive x-axis. The diffuse light color is, by default, white, and the default intensity is 1.0 (which is as bright as it gets). Feel free to play around with these values later on. Notice that we've added three new lines that ultimately set the output color. The first line, float4 normal = mul(input.Normal, WorldInverseTranspose);, takes the normal and transforms it in such a way that the normal is now relative to where the object is in the world. We will need to do a little bit of math in our XNA game to calculate this matrix, which we will do once we have completed the shader code. It simply calculates where the normal is, once the world transformation has been performed, so the normal is now relative to the world, rather than the object, like we want it to be. The second line, float lightIntensity = dot(normal, DiffuseLightDirection);, essentially calculates the angle between the surface's normal vector and the light, which is used to measure the intensity of the light. The dot() function performs the dot product of two vectors, which can effectively be used as a measurement of the angle between the two vectors. If the surface is exactly facing the light source, this value will be 1. If the surface is sideways, compared to the light, this value will be 0. If the surface is facing away from the light, it will be a negative value. In the third line, we calculate the actual output color that was determined by the diffuse lighting. The color is the default diffuse color, specified by DiffuseColor, multiplied by the default diffuse intensity, specified by DiffuseIntensity, multiplied by the intensity of the light at that vertex, specified by lightIntensity. Notice that we call another intrinsic (built-in) HLSL function, saturate(). This function will take a color and ensure that it has values between 0 and 1 for each of the components. There actually isn't anything that we need to do to here. However, if you copied the original file like I did, or you are still working from your original file, you might want to change the name of the technique from "Ambient" to "Diffuse". In actuality, we could have two techniques here, one called "Ambient" that just does ambient lighting, and one called "Diffuse" that does diffuse lighting as well. We could have separate functions for the vertex and pixel shaders of these two techniques, and just combine the two into one file. In an XNA game, you can choose which technique you want to use pretty easily. Remember, we need to set the WorldInverseTranspose variable in our shader, so that the diffuse lighting works out correctly. 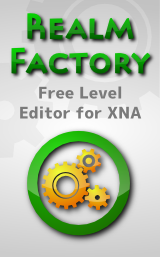 Go back to your XNA code in the Draw() method where we set all of the other shader parameters. (Where we had all of the lines that say Effect.Parameters["parameterName"].SetValue(…);.) Add the following two lines of code which calculate the world inverse transpose matrix, and give it to the shader. The matrix is calculated by taking the world matrix that we are using, (in this case, it is mesh.ParentBone.Transform * world, because we are taking into account the transformation for the mesh itself, as the world transform for the entire object), inverting it using the Matrix.Invert() method, and then transposing it with the Matrix.Transpose() method. The second line just sets the value like we have done with all of our other parameters. 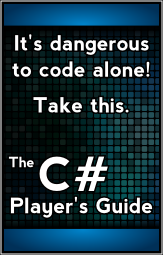 Additionally, my main game class looks code can be found below as well. 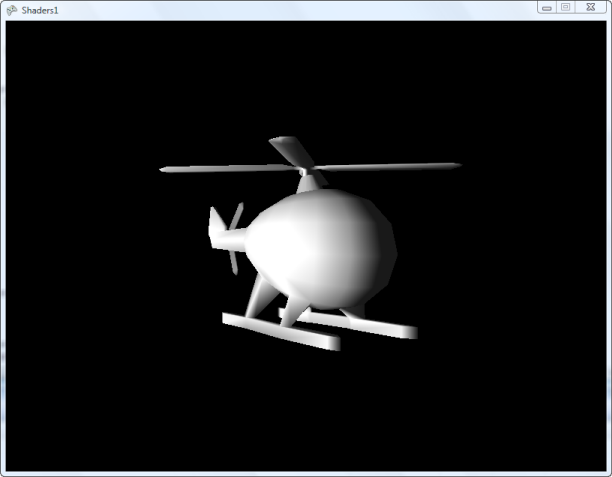 We have now created a more advanced shader that actually shades the object we are looking at. This will provide us with some good groundwork for doing all sorts of other more advanced shaders. The next thing that we will cover is specular lighting, and then continue on to a slightly more advanced topic: texturing.